More artists have been added to the anti-Trump Flip These Houses benefit show which has a whole bunch of talented folk performing protest songs at Queens’ Knockdown Center on September 28. They include Spoon’s Britt Daniel, Superchunk’s Mac McCaughan, Laura Cantrell, King Roeser (Urge Overkill), Doug Gillard (Guided by Voices, Nada Surf), Mates of State, Liza Colby, Shannon Conley (Hedwig &Angry Inch/Lez Zeppelin), and Eszter Balint. They join previously announced performers Craig Finn, Matthew Caws (Nada Surf), Lenny Kaye (Patti Smith Group), Binky Griptite (ex-Dap Kings/Antibalas), Lee Ranaldo (Sonic Youth), Hamilton Leithauser, Charles Bissell (The Wrens), Nicole Atkins, Ted Leo, Syd Straw, Richie Birkenhead (Into Another/Youth Of Today), actor/musician Michael Shannon and more. For a little more on Flip These Houses and what to expect, we traded a few questions via email with show organizer Mike Stuto, who used to own East Village bar Hi-Fi (and Brownies before that). 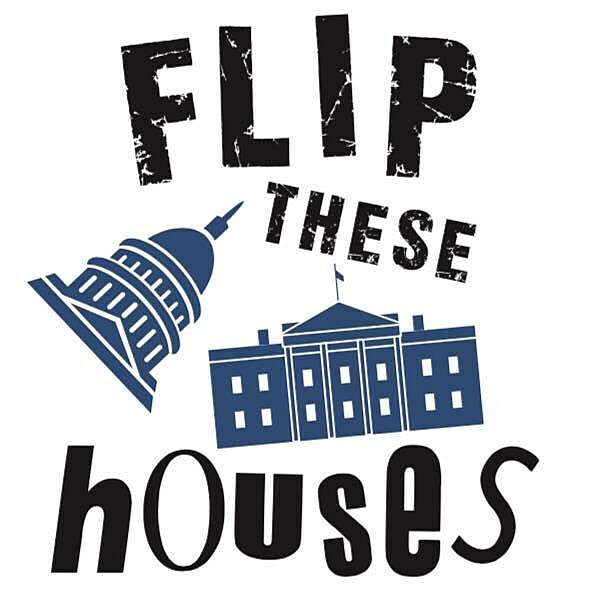 Read that, and check out the full Flip These Houses lineup below. How did this project come about, what was the impetus? Mike: After HiFi closed in October (2017) I got in my car and drove 11,000 miles around the country in my 2001 Taurus station wagon to sorta clear my head and figure out what I was going to do next. Not an easy proposition at 51 years old, especially when you consider that when I left the music business (when Brownies closed in 2002), iTunes was MAC-only and Napster was in court. So all the knowledge I had about revenue streams and how to promote was terribly outdated. And I hadn’t looked for a job or created a resume since 1993… The live music biz didn’t change as much as the recorded music world, so I started doing some tour managing and a little artist management, etc. My friend Jed Becker asked me to help him get people onto a fundraiser he was doing at Pianos, and the next week the Parkland shooting happened. Like everyone, I was stunned, but when Emma Gonzalez, the Hogg family, and Fred Guttenberg started speaking up and getting such traction I had this (not very well thought out) moment where I thought to myself, “why are you helping out on a small show when you know so many people and you have all the time in the world”? So that’s what started it, but without a company or a venue or a date it took a few months just to get the ball rolling. The first commitments are the hardest to get, so a TON of credit (and gratitude) goes to Craig Finn, Britt Daniel, Hamilton Leithhauser, Ryan Miller and a couple others who said yes despite the fact that I had never done anything even 30% of this show’s size. They knew me enough to trust me to get it going (or they assumed I wouldn’t and said yes just to shut me up) — you’ll have to ask them…. What can we expect from the actual show, I know you mentioned hoping it would have a Last Waltz kind of feel to it. Is there gonna be a house band? There will be at least TWO house bands (hoping for a third), and some folks will do solo songs too.. The show is a Revue, I guess. We’re celebrating the long history of Protest Music and other socially conscious songs. So most singers will do one or two songs — but the more “famous” names will be offered a third or more so people coming will get to see more from the folks they presumably paid to see. And yes I am going for a “Last Waltz” kind of vibe where there are always a few extra people on stage doing harmonies, guitar, percussion, whatever. The music will at times be heavy but the vibe will be a big party. And I can say with confidence that its going to be very entertaining! Will Britt Daniel do a Stevie Wonder song? Will Craig Finn to a Nick Lowe song? Who’s gonna sing “Gimme Shelter?” Or a Curtis Mayfield song? Etc Etc.. It’ll be like the Grammys, but more songs, no award. How many more performers are still to be announced? How many? I don’t know — but there are some major requests out there pending. Those $39 “Early Bird” tickets are limited, so I’d recommend folks get theirs NOW.